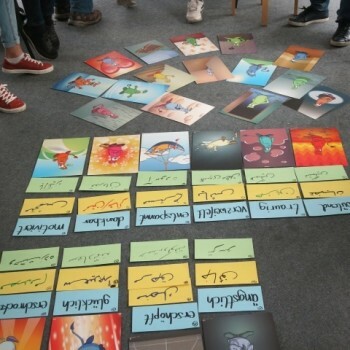 The Gefühlsmonster® cards neither have names nor texts to the images, so that they can be easily used in an intercultural context. Above all, they help illustrate how differently people can feel in the same situation. Since the images act much faster and stronger than words, they can contribute to a deeper mutual understanding.